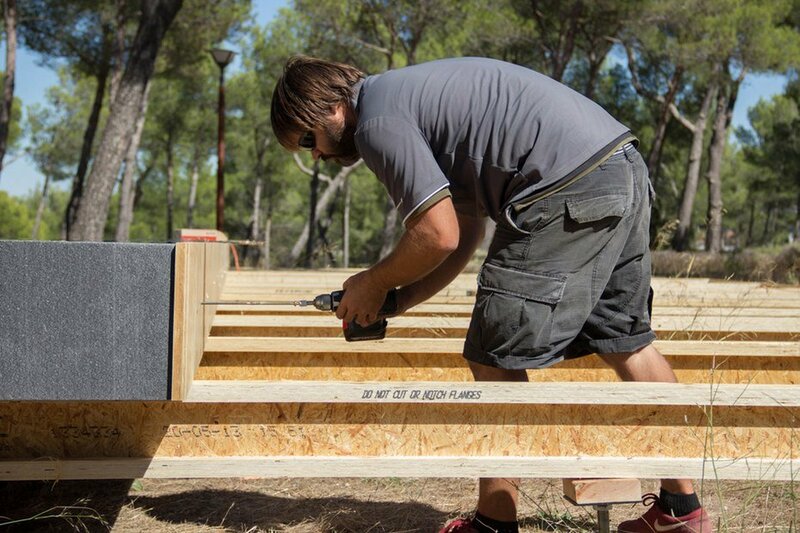 A home that can be build in a few weeks with just a screwdriver !? Have you ever thought about living in a real-life Lego house? Your dream could finally come true because of French Architecture Firm ‘Multimode Studio’, who recently unveiled a prototype for the PopUp House. This is a customizable home made from stackable blocks. It can be designed, ordered, and built in about a month! 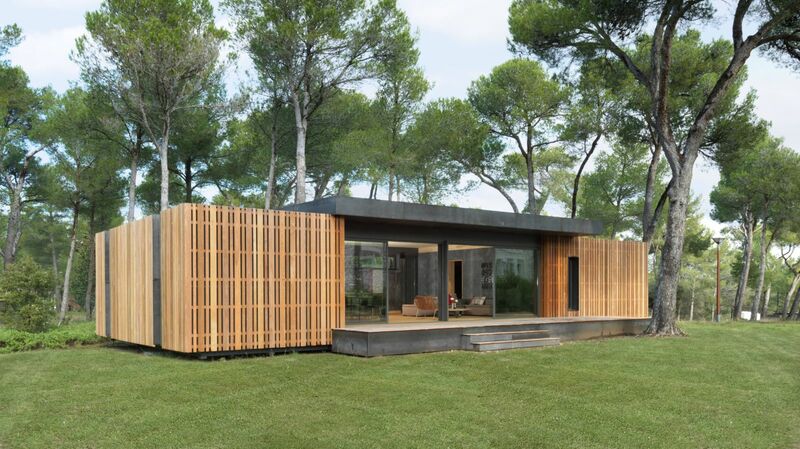 The design for the first homes are located in pine valleys of Southern France. The PopUp House can be ordered online and can cost $1,200 and $1,900 per square meter, depending on the quality of the materials and amenities. Once a home is ordered, the firm sends along building instructions (an additional $1,640 fee) and a construction team. It’s completely customizable. 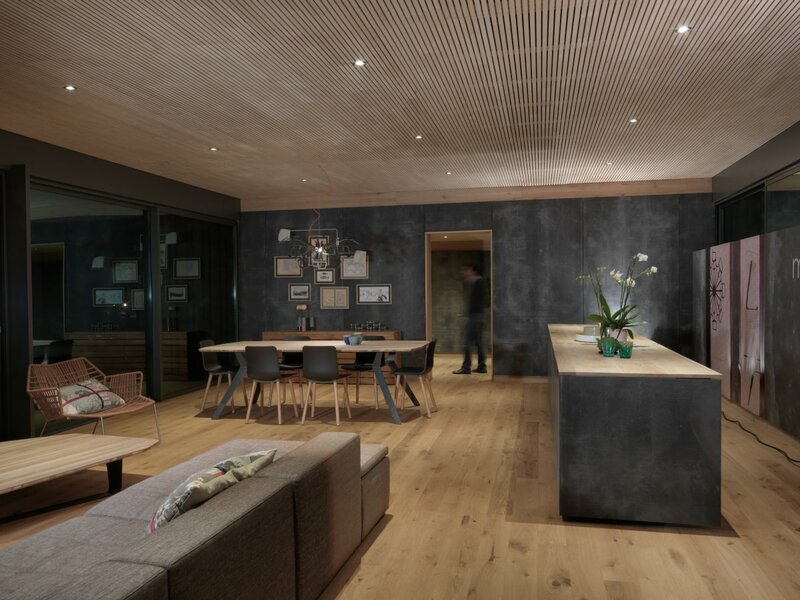 “A PopUp House can be whatever you wish it to be: a small and cozy country lodge, an urban two-story house, or a spacious open office,” co-founder Corentin Thiercelin tells Tech Insider. Building a PopUp House is a lot like building with Legos. Each house is made from stacked recyclable wooden panels and insulation blocks, all held together with wood screws. A construction team can build it in four days with only an electric screwdriver. It can be disassembled just as quickly. The prototype measures 1,614 square feet (a decent size for a home!) and features an open layout (which is ideal now-a-days). 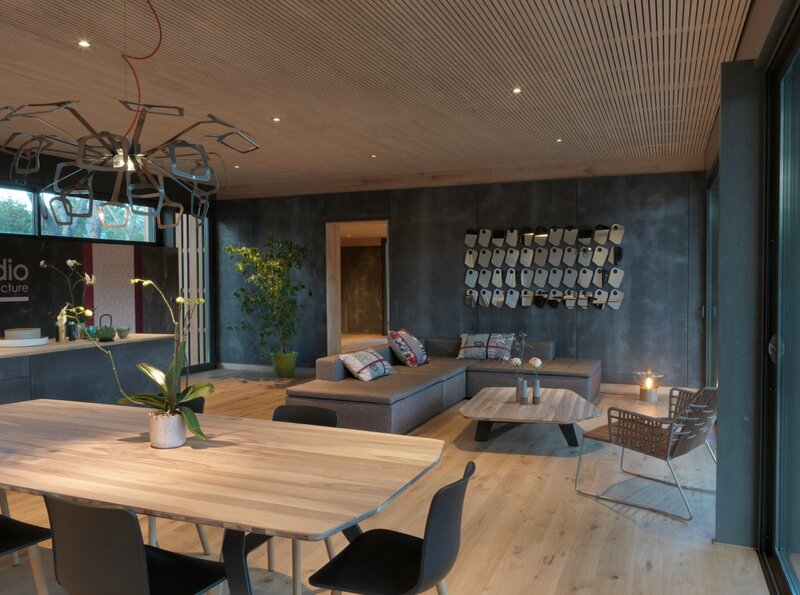 A kitchen, dining area, and terrace connect to the living room. It also includes two bathrooms, an office, master bedroom, and two smaller bedrooms! Currently, PopUp House is only available in France, but Thiercelin says the company plans to expand to the UK and the US. The firm is searching for local architects and home builders to work with PopUp House to make sure that the homes are in line with local building codes (which was everyones next thought right?). PopUp House is part of a growing sustainable architecture movement called passive construction. The architecture concept describes homes that are well-designed, low-cost, and energy-efficient. The PopUp House is airtight and watertight, which means it keeps heat locked in.